This year marks the 20th anniversary of the Whitley Awards – an international competition, first held in 1994 and often dubbed ‘the Green Oscars’, because it celebrates the extraordinary achievements of some of the world’s leading conservationists working in developing countries. Over the past two decades, 160 conservation leaders working in more than 70 countries have received a total of over £7 million from theUKbased charity, the Whitley Fund for Nature (WFN). The Whitley Awards provide financial support, practical advice and training, as well as the oxygen of publicity to promote award winners’ efforts to protect the fragility of the natural world and build a better future both for wildlife and for people. Academic research, painstaking fieldwork, political advocacy, community engagement and education are just some of the tools used to engineer change by these outstanding individuals, who have often spent years in relative obscurity as they strive tirelessly to achieve environmental change at grass-roots level. Receiving a Whitley Award can be quite literally a life-changing experience and not simply because the funding can transform what can be practically achieved on the ground. Finding themselves and their work recognised on an international stage can be a game-changer, which opens doors once closed and gives a voice that is listened to and brings both status and influence in public and political arenas. Projects recognised range from single species protection to ecosystem management; from practical conservation efforts working closely with local communities to change perceptions and working practices, but can also involve working with the media and lobbying government officials and departments to potentially change policy and wildlife legislation at national and international levels. WFN Trustee Sir David Attenborough sums up the significance of the Whitley Awards thus: “Whitley Award winners don’t just watch and measure – they act! Over the past 20 years they have led by example showing us what it is possible to achieve in biodiversity rich, resource poor countries even in the face of sometimes monumental challenges”. As this year’s hopefuls prepare to travel to Londonas potential recipients of the 2013 awards, preparations are underway for the prestigious awards ceremony being held at the Royal Geographical Society on Thursday 2 May at which the charity’s patron HRH Princess Anne will present the awards to the winners. 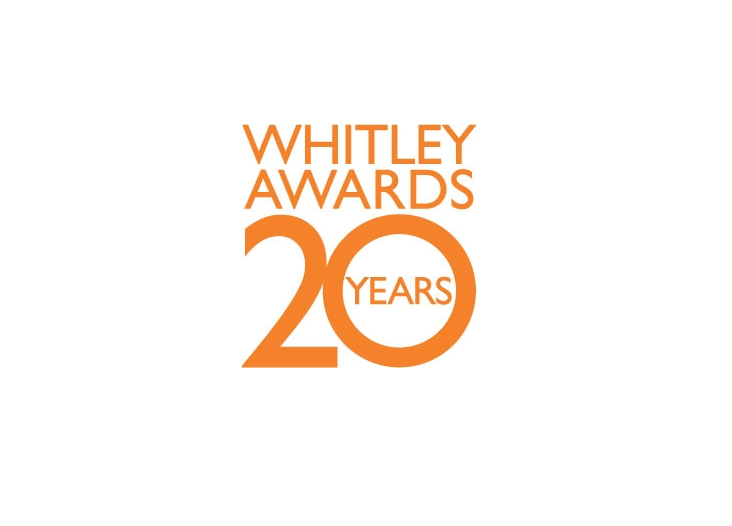 To learn more about the charity, its donors, past winners, and how to apply for the 2014 awards scheme, please see: www.whitleyaward.org. Celebrating the 20th Anniversary of its flagship Whitley Awards, the Whitley Fund for Nature (WFN) is aUK registered charity that champions outstanding grassroots leaders in nature conservation across the developing world. The Whitley Awards are prestigious international prizes presented to individuals in recognition of their achievements in nature conservation. Each Award Winner receives a prize worth up to £35,000 to be spent over one year. The charity’s patron, HRH The Princess Royal, presents the Awards each year at a special ceremony inLondon. WFN operates a rigorous science-based application process involving expert panel representation from international NGOs including WWF-UK and Fauna and Flora International. The Whitley Awards are open to individuals working in developing countries. Further eligibility criteria are available from Firebird PR. Whitley Award winners join an international network of Whitley Alumni eligible to apply for Continuation Funding. These follow-on grants are awarded competitively to winners seeking to scale up their effective conservation results on the ground. Each grant is worth up to £70,000 for projects of between one to two years in length. WFN is generously supported by: The William Brake Charitable Trust; Natasha and George Duffield; The Evolution Education Trust; Garfield Weston Foundation; Goldman Sachs; HSBC Holdings Plc. ; The LJC Fund; The Rufford Foundation; The Schroder Foundation; Fondation Segre; the Shears Foundation; Whitley Animal Protection Trust; WWF-UK and many individual donors.